FA Cup's most successful team, Arsenal has been defeated by Manchester United 3-1 at the Emirates Stadium in London on Friday. FA Cup’s most successful team, Arsenal has been defeated by Manchester United 3-1 at the Emirates Stadium in London on Friday. The loss has resulted in the elimination of the Unai Emery-led side. While United fans could rejoice in an eighth straight win since Solskjaer replaced Jose Mourinho as the coach, Arsenal saw themselves bounced out of a competition that they have won a record 13 times, most recently in 2017. Arsenal had more of the ball during the first half at London’s Emirates Stadium on Friday night but were unable to translate possession into chances, reports Efe news. 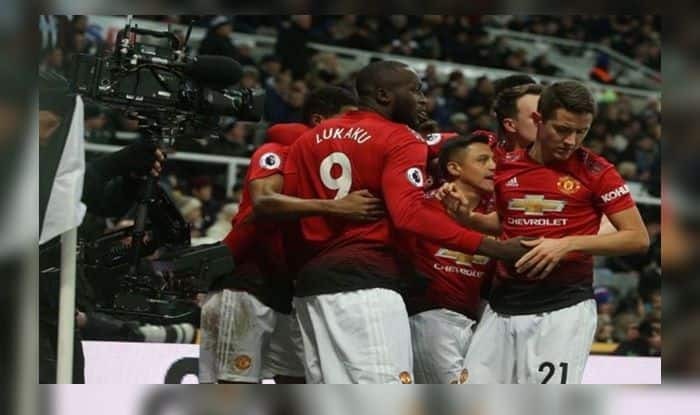 The visitors opened the scoring in the 31st minute when Romelu Lukaku threaded a pass through the Arsenal defense to former Gunner Alexis Sanchez, who beat keeper Petr Cech for the 1-0. The 2-0 came just two minutes later and again with Lukaku as playmaker. The Belgian’s counter-attack left most of the Arsenal squad stranded in the United end and his pass found Jesse Lingard unmarked in the box for the easy goal. Pierre-Emerick Aubameyang, who has emerged as one of Arsenal’s most dangerous strikers, clawed back a goal for the home side in the 43rd minute. The Gunners flew forward in the second half and it took a great play from Man United keeper Sergio Romero to stop Aaron Ramsey’s header in the 48th minute. Exposed at the back, Arsenal conceded a third goal in the 82nd minute when Anthony Martial scored on the rebound after Cech made an initial stop against Paul Pogba. With the match lost, Arsenal and their supporters had to endure another 18 minutes of futility because the referee added 10 minutes in stoppage time to make up for the long interruption caused by the injury to Koscielny. An accidental boot in the face from Lukaku left the French defender with a possible broken jaw. Man United have outscored opponents 22-5 during what is now their longest winning streak in two years.